crafty goodies: I "heart" cookie cutters ~ many junkin' trips!!! These are some heart "cutter" sets. The brown lid set I bought when my boys were small. the date is still on the price tag~1984 :):) makes me smile!!!! This "deal" is over Feb. 15th (starts today) and it also includes a FREE package of soot tape. 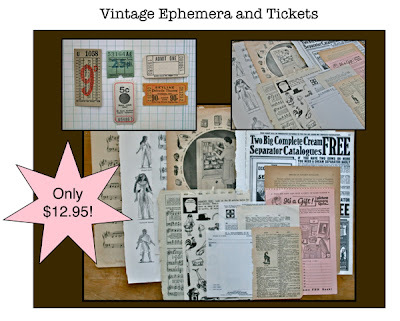 If you "heart" vintage ~checkout these sweet deals out HERE!!! See ya tomorrow for Try It Tuesday!!!! look at all those cookie cutters! how cool!! Love love love your vintage (I can't believe i am saying that about 1984!! YIKES!!!! LOL!) and that is quite a deal from VSM!!! Off to check it out!!! I love to bake so I really love those cookie cutters. You have the best vintage. Love it. Cookie cutters rock. love your collection of cookie cutters, those are great! I have few older cookie cutters that I just love! They are so nice to use! Your cookie cutters are adorable, I even have some of those since I have saved them from my mom. I love vintage cookie cutters. I'm wanting some for a decor banner in my kitchen next Christmas. I went junkin' the other day and did not see what I wanted ... tomorrow is another day in the antique business. Great post Connie. 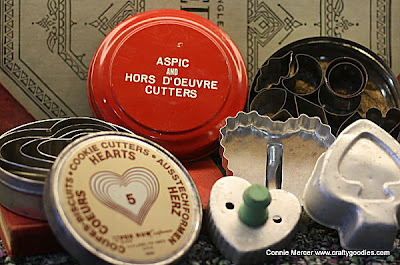 I adore vintage cookie cutters! You have some great ones! 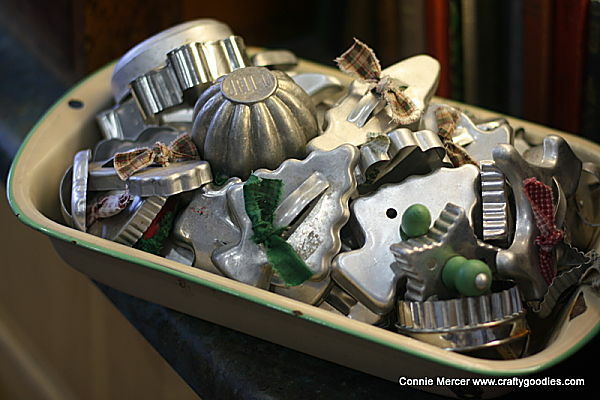 Connie, I love them- I also collect cookie cutters, never have enough.